If getting up close and personal with nature is you're thing, you've definitely arrived at the right page! Birdwatching, Sea Turtle Nesting, Volcanoes and Hanging Bridges; these are just a few of the many Papagayo Eco Tours you can choose from. Papagayo Eco Tours is where it's at for exploring our natural surroundings in a way that is both informative and meaningful. We want to share all that we can about this beautiful and diverse region, so we've assembled all the best eco-conscious and preservation-friendly activities available in Papagayo, in this one handy section! Browse through the list of eco tours in Guanacaste below for night tours to observe nesting sea turtles, the iconic hanging bridges in Monteverde, spelunking in Barra Honda, safari floats and so much more! Want to charter your own whale watching tour? Oh yeah, we do that too. Discover the iconic Rio Celeste, with its otherworldly blue coloring, and experience the Rincon de la Vieja volcano with our local guides who love to share their home with you. The Papagayo region is home to hundreds of birds of every kind imaginable, so the bird watching in Guanacaste is off the charts! Need we say more? Close encounters of the natural and spectacular kind are something we do every day! Click below for more info and choose YOUR favorite Nature & Eco Tour in Papagayo. Just as the early bird gets the worm, so too does the early bird nerd (er, bird watching enthusiasts) get the excellent sighting of the beautiful toucan! As you already know, birds are most active in the very early morning and at dusk as the day cools into night. 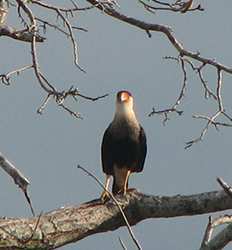 Early Morning Bird Watching in Guanacaste deposit is $15.00 per Adult and $10.00 per Child. This tour departs at 5:30 AM. Costa Rica is known for one of the most beloved creatures found in the Guanacaste region is the Pacific Green Turtle. Every year during the turtle nesting season in Costa Rica between the months of November and January, the magnificent sea turtles seek the Costa Rican beaches which have become a safe haven to continue the circle of life. 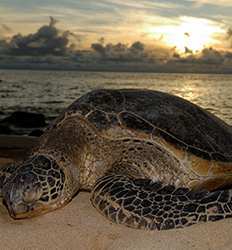 Sea Turtle Nesting Night Tour deposit is $20.00 per Adult and $15.00 per Child. This tour departs at two different times From November through January. The Rincon de la Vieja National Park is a must-see for any traveler visiting Costa Rica! With its experience largely centered on the volcano and volcanic activity located there, it is as educational as it is beautiful, and fun for the whole family. 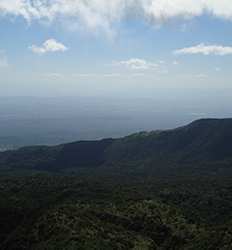 Rincon de la Vieja Volcano National Park Tour deposit is $20.00 per Adult and $15.00 per Child. This tour departs Thursday and Saturday at 7:00 AM. Nature, History & Culture combine in one great combo in Costa Rica's Guanacaste region; the Santa Rosa National Park & Liberia City Tour. 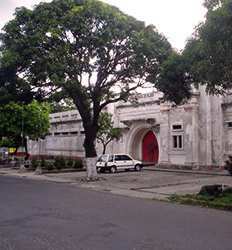 Founded in 1971, Santa Rosa was one of the first National Parks founded in Costa Rica. There are actually 10 distinct habitats within the park that can be explored from easy hiking trails. 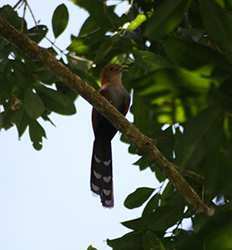 Santa Rosa National Park Guided Hike & Liberia City Tour deposit is $20.00 per Adult and $15.00 per Child. This tour departs Tuesday through Sunday at 6:20 AM. The Tenorio National Park is home to the Tenorio Volcano of course, but it is also home to one of Costa Rica's 7 Natural wonders, Rio Celeste. Let our naturalist guides lead you through primary forest to discover the marvels of this region on our Rio Celeste & Tenorio Volcano National Park Hike and learn the secrets behind this breathtaking natural phenomena. 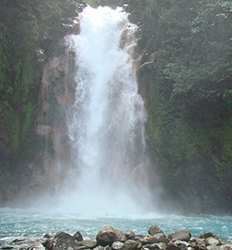 Rio Celeste & Tenorio National Park Hike deposit is $25.00 per Adult and $20.00 per Child. This tour departs at 6:20 AM. 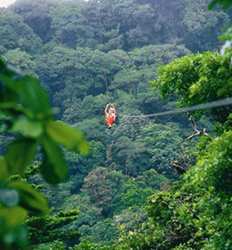 Want to enjoy Costa Rica's famous rainforest canopy with your feet firmly planted on the ground? An interesting alternative to a zipline canopy tour, our Heliconias Hanging Bridges and Rainforest Hike gives a "higher" perspective on the rainforest that will enhance your understanding of this fantastic and life-giving ecosystem that is so unique to Costa Rica. Heliconias Hanging Bridges and Rainforest Hike deposit is $20.00 per person. This tour departs at 7:15 AM. Healing hot springs, therapeutic mud baths and the breathtaking beauty of the volcanic region awaits you on our Miravalles Volcano combo tour. 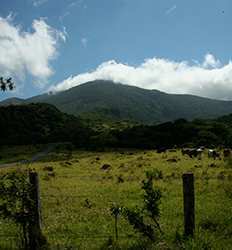 We´ll take a scenic drive through the Guanacaste mountain range to the Miravalles Volcano. Views like these are unlike anything you´ve seen, so keep your camera handy! Miravalles Volcano Combo Tour deposit is $30.00 per Adult and $20.00 per Child. Rio Celeste, Tenorio National Park & Heliconias Hanging Bridges: the trifecta of natural goodness that makes for the most amazing day of exploration in Costa Rica. Not to mention the most spectacular vacation photos one could ever ask for from the shores of the Rio Celeste Waterfall...incredible!! Rio Celeste, Tenorio National Park & Heliconias Hanging Bridges deposit is $30.00 per Adult and $25.00 per Child. This tour departs at 6:50 AM. For a unique experience a bit off the beaten path, try your hand at Spelunking in Costa Rica. Barra Honda Caves Hike tour gets you out exploring unique limestone formations, including incredible stalactites and stalagmites, in one of few national parks without a volcanic foundation in Northern Costa Rica. 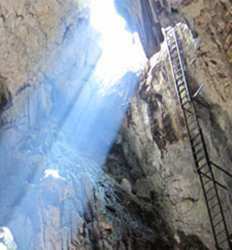 Barra Honda Caves Spelunking Tour deposit is $30.00 per person. This tour departs at three different times. Leave the semidry forests of the Pacific lowlands behind to encounter one of Costa Rica´s 7 natural wonders: The Monteverde Cloud Forest! As we leave Guanacaste and journey towards Monteverde, you will see several regions of Costa Rica. Our Monteverde Cloud Forest Experience is full of choices! Monteverde Cloud Forest Experience deposit is $35.00 per Adult and $30.00 per Child. Monteverde Cloud Forest Experience + Canopy deposit is $45.00 per Adult and $40.00 per Child. You can´t experience the real Costa Rica from your resort...you need to get out and explore! We invite you to venture out of your Guanacaste beach resort and into Costa Rica’s magical volcano paradise on our Arenal One Day Escape. This family-friendly Arenal Volcano One Day Escape tour gives you your choice of 4 hot springs. This tour is "Baldi Hot Springs", for more options see details. 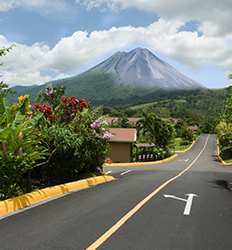 Arenal Volcano One Day Escape + Hot Springs Tour deposit is $35.00 per Adult and $25.00 per Child. This tour departs at 6:00 AM. Palo Verde National Park is best known as a bird-watchers' paradise. At least a quarter of a million wading birds and waterfowl flock here in fall and winter. The natural hydraulic system of Palo Verde creates the right conditions and produces the most important concentration of birds in the country and Central America. Ideal for nature lovers, the Tamarindo Mangrove Safari Float tour is a fun and relaxing way to experience for the whole family to enjoy. 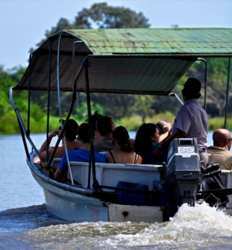 Navigate the canals of the Tamarindo National Wildlife Refuge while seeking out the vast wildlife that dwells in the unique mangroves and protected estuary that make the Tamarindo Estuary so loved by locals and visitors alike. 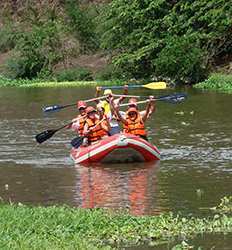 Tamarindo Mangrove Safari Float Tour deposit is $20.00 per Adult and $15.00 per Child. Departure times will be in your e - ticket. Ahhhhhhh.....few things are more peaceful and calming than floating and feeling at one with nature on a kayak. If that sounds like and excellent day of vacation to you, our Tamarindo Mangroves & Estuary Kayak tour is perfect for you. And with the best guides in Tamarindo and the best tour deals in Costa Rica, our Tamarindo estuary kayak tour definitely does not disappoint! 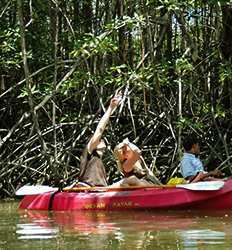 Tamarindo Mangroves & Estuary Kayak Private Tour deposit is $10.00 per Private Tour or $5.00 per Group Tour. If you´re searching for a cool and mildly adventurous family-friendly activity, you´ve come to the right place! Corobici River Float Safari is the perfect family-friendly eco-tour. Float lazily down the Corobici river flanked on both sides by lush and exuberant fig trees, Guanacaste´s unique dry forest, and humongous Ceiba trees; nature viewing at its best! Corobici River Float Safari deposit is $20.00 per person. Whale watching in Costa Rica is one of the most unique adventures you can experience in the Gulf of Papagayo. Here´s your chance to get out on the water with your loved ones & experience Costa Rica´s marine life in their natural habitat on your own private whale watching charter! This tour is the perfect way to experience the best of Papagayo. This tour option is for "La Guapa" Boat, for more options see details. 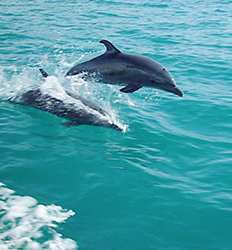 Private Dolphin and Whale Watching Charter deposit is $50.00 per up to 6 passengers and $10.00 per each additional passenger.